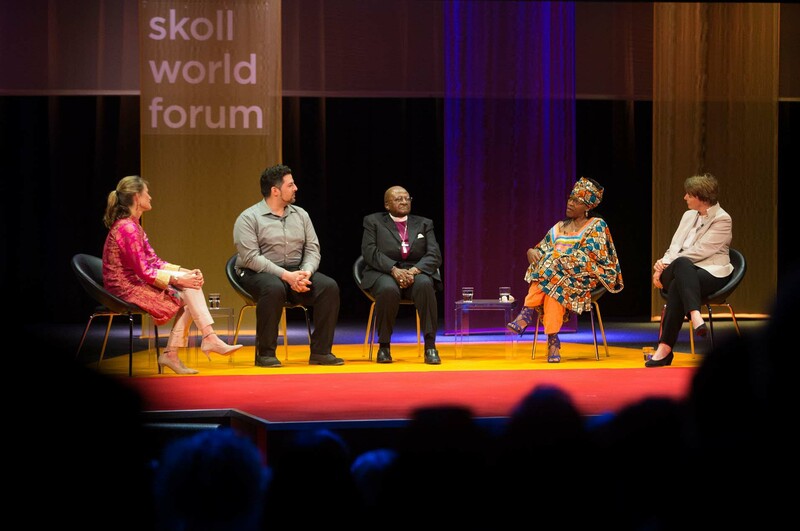 2015 was the first year that Nuru International received an invitation to attend the Skoll World Forum. For me to attend was an awe-inspiring and humbling experience. Once a year, top social entrepreneurs, impact-focused investors, and academics from around the world convene in Oxford to share latest findings from the field and wrestle with some of the greatest challenges facing the sector. My days were packed with one-on-one meetings with new investors interested in the early success of the Nuru Model, current investors interested in an update on progress, and fellow entrepreneurs willing to share trade secrets. The highlight for me was a refreshing, invigorating meeting with my old friend Andrew Youn (Founder of One Acre Fund, social entrepreneurship wizard, and all around great dude) where we talked less about work and more about life, friendship, and purpose. I was very encouraged during my time at Skoll. I listened carefully to leaders in the sector talk about the direction that we need to begin moving in to realize the lasting change we are all striving so hard to bring about. I sat in on sessions with veteran entrepreneurs like Paul Farmer of Partners in Health, cutting edge investors like Kevin Starr of Mulago Foundation, and leaders of government shaping the industry like Diana Good of the UK’s Independent Commission for Aid Impact. As I listened, I began to pull out key themes that kept popping back up – themes that generated a lot of excitement for me as I realized that Nuru seems to be ahead of the curve in the direction the experts want to begin turning the industry toward. Lasting solutions must be locally led: Local and regional leaders are the key. The sector must discover ways of unlocking the potential of leaders to truly own solutions. At Nuru, we agree. Our Leadership Program utilizes a process of co-creation where we collaborate with local leaders to design poverty-fighting solutions in agriculture, financial inclusion, healthcare and education. Together we decide the most cost-effective, sustainable, and scalable solutions to implement in their region. Restoration of agency is key: To become free of extreme poverty, individuals must be able to make meaningful choices for their families. Local leaders and community members must see themselves as change agents and not merely passive recipients of aid. They must be given a seat at the table in designing solutions to the challenges their communities face. This is also an important value at Nuru. Our Leadership Program creates an ecosystem that facilitates the direct restoration of agency in local leaders who will act as catalysts – taking true ownership of their community’s future. Poverty solutions must be integrated: More and more practitioners and funders are seeing the power of integrated solutions to rural poverty. Singular siloed solutions create impact, but that impact tends to degrade over time as other unaddressed factors compromise gains made. From day one, Nuru has focused on delivering integrated programs to address four basic needs of a community: hunger, inability to absorb economic shocks, preventable disease and death, and lack of quality education for children. All of us at Nuru are excited for the path we’re on, specifically because it’s built upon the brave and tireless efforts of those who started decades before us. Our aim is to continue searching for, uncovering, modeling and sharing best practices so that this and all future generations will never have to suffer a single day of life in extreme poverty. Founder & CEO — Jake graduated with distinction from the US Naval Academy and served seven and a half years as an Infantry and Special Operations Platoon Commander in the Marine Corps. Jake left the military and enrolled at Stanford Graduate School of Business to found Nuru International. Upon graduation, Jake led a team to launch Nuru’s first project in Kenya. Hola! I’ve been following your web site for a while now and finally got the courage to go ahead and give you a shout out from Huffman Tx!